WATERVILLE, Me. -- Sophomores Cara Cadigan (Nahant, MA) and Rebecca Abbott (New Orleans, LA) scored goals in the second half to power the Tufts University women's soccer team to a 2-0 season-opening win over Colby College on Saturday. The Jumbos (1-0, 1-0 NESCAC) and Colby (0-1, 0-1) played to a scoreless opening half, but Tufts got the game-winning goal when Cadigan took a long ball up the middle of the field from Abbott and got past Colby goalie Loni Pisani (Kanata, Canada) for the goal at 53:22. 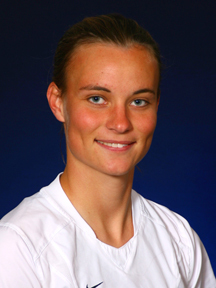 Senior Lauren Fedore (East Lansing, MI) also was credited with an assist. Colby had a good chance to tie the score with about 20 minutes remaining, but a header by Meggie Herlihy (Simsbury, CT) went off the crossbar off a perfect corner kick by Katie McCabe (Watertown, CT). Mule first-year midfielder Leah Turino (Stoneham, MA) also had a header in the first half that went off the top of the bar. Tufts clinched the game when Abbott knocked in a corner kick from Jessie Wagner (Sudbury, MA) with 16:41 remaining in the contest. Tufts sophomore goalie Kate Minnehan (Hopkinton, NH) had two saves to earn the shutout in her first collegiate start. Pisani stopped four shots for the Mules.